This quality board will be a valuable addition to a kitchen and makes a quirky Christmas gift for a family or friend at this time of year. 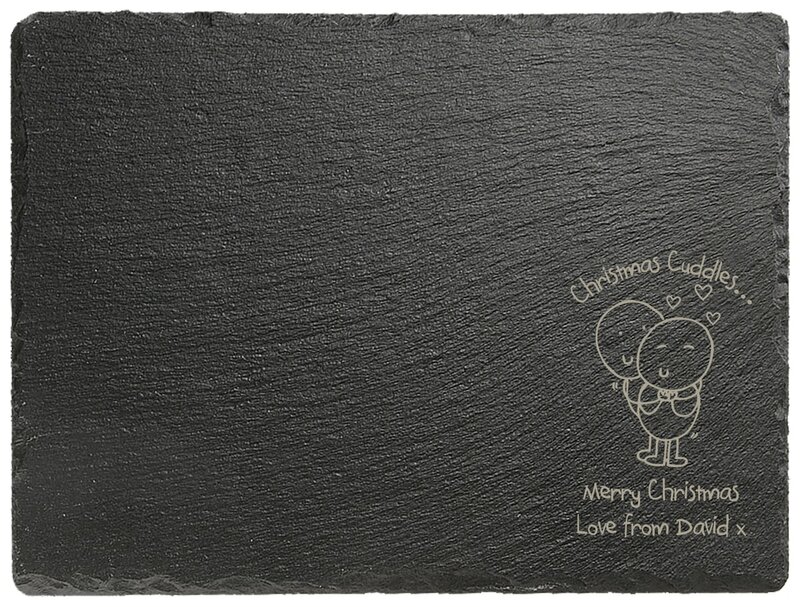 Made from high quality slate the board has a large surface for chopping anything from cheese to veggies. With a cute Chilli and Bubbles character in the corner, and your message engraved into it, this gift is not only useful but will bring a smile to their face whenever it's used.